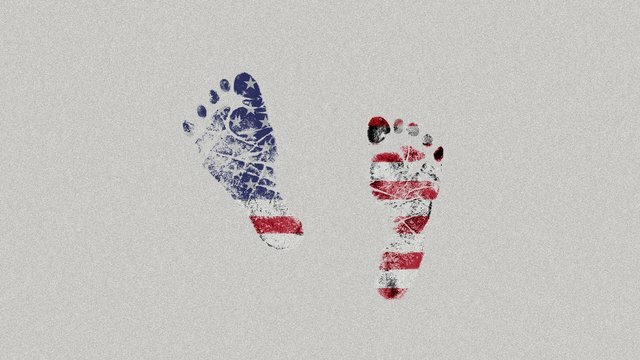 Should the United States Remove Birthright Citizenship? Today the internet blew up after President Trump said that he plans to do away with Birthright Citizenship for those born on US soil, but otherwise would be illegal. While this is stirring up quite the pot among Americans, I thought I would give my take. If you aren't from the United States and didnt know that anyone born on American soil is entitled to citizenship, you might be quite surprised. The United States is one of the very few countries that actually put this practice to use and it has been the target for anti-immigration politicians for a while now. Do I actually think President Trump will be able to do away with birthright citizenship? The short answer is no and the medium answer is that he lacks enough power to make it stick. Even if he was able to do it in his term, it would most likely be taken away. Like most of the comments Trump makes, he will probably discover it is too difficult to implement and shift the public to something else. However I wanted to discuss whether or not we should have birthright citizenship, not whether or not it will be removed. I tend to look at many things through the lens of economics which sometimes makes certain topics difficult because I become torn. Having birthright citizenship incentivizes illegal immigration which most people agree is a bad thing. I don't have a problem with immigration, but I do think that illegal immigration is unfair to those who play by the rules. Our country was built off immigration and how it shapes our country is only going to change the way we live in the future. Its often hard to say “no keep out of our country”, but letting a large influx of illegal aliens ends up causing trouble for everyone. Many times like we have seen in Scandinavian countries, after they took in refugees, problems can be brought from one place to another. My opinion has always been we should work on aiding our neighbors rather than taking in their citizens. We have brain drained them for decades and most highly capable people would rather come here than stay in their own countries of origin. I don't think that removing birthright citizenship would completely stop illegal immigration, but it would definitely remove the incentive for someone to come here and have children here. Whether or not the effect is large would remain to be seen. I think in this case I would probably step back and not support either side. I don't have much a pony in this race and I always found birthright citizenship to be a strange thing to begin with. Let me know what your opinion is, I would love to hear it. You got a 17.84% upvote from @t50 courtesy of @discernente! The key language in the 14th Amendment is "and subject to the jurisdiction thereof" the interpretation of this language has long been debated. Subject to the jurisdiction in one sense means that the person has a loyalty or obligation of citizenship to the United States. For instance, most countries define birthright citizenship by "blood" so for instance a child born to two Mexican citizens is also a citizen of Mexico regardless of where the birth occurs. The 14th Amendment was designed very strictly speaking to insure that children born of former slaves were conferred automatic citizenship. The question is whether children born on US soil are "subject to the jurisdiction". I do not proffer an opinion as to what is best but the argument that Trump is seeking to repeal the 14th Amendment rather than applying a "traditional" interpretation of that phrase is hyperbole at its finest. Immigration is confusing and messy. I have a student whose parents have been working in the US with visas for almost a decade. They've recently had a baby who is now a US citizen. The parents are in process for their US status and have another 4 years....waiting. I have many friends on artist visas and spend quite a lot of money on immigration attorneys to sort out their paperwork. It's not an easy process. When I was a child, I had a family friend whose husband was tragically killed in a car accident while picking up items at the store for his newborn child. He had been serving the US military for over a decade (originally from Philippines). Soon after his funeral, his widow, newborn daughter and American born son were served their deportation papers. They were in process to get US status but the death interrupted that. Things got sorted out in the end but not without A LOT of effort. For those seeking US status legally and going through the daunting process, it is not good when others take advantage whether rich or poor (birth tourism) or find loopholes. I don't think any politician can sort out the system....not until it becomes a big enough conversation of concern where people actually listen to each other without name calling. Opening the doors further just piles more chaos on the chaos. It's a messy house and the sentiment seems to be whatever....join the party!